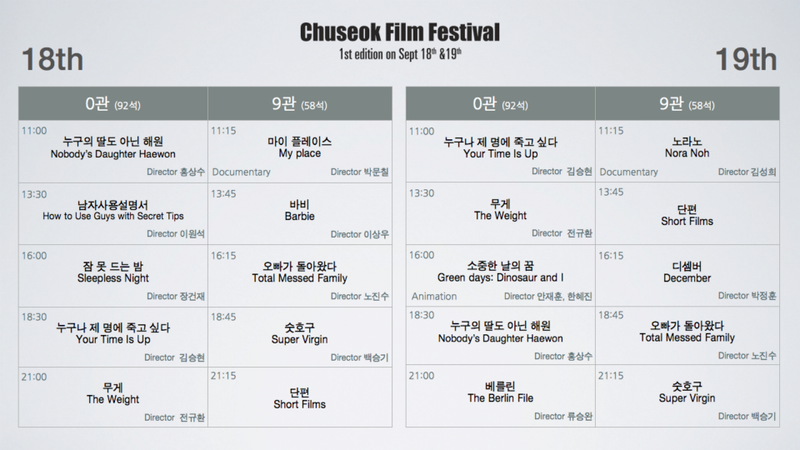 The first expat-orientated Chuseok Film Festival is due to take place this September. The two day celebration, which runs from the 18th to the 19th, is primarily aimed at the English-speaking community who are often left with little to do over the Chuseok period. The event will take place at the trendy Art 9 cinema, located in Isu. For those unaware, Chuseok is a particularly significant Korean holiday in which families reunite across the country for several days, in celebration of their ancestors. The Chuseok Film Festival will act as a celebration of Korean cinema by screening several high profile films with English subtitles. Typically only a select few Korean films are subtitled in English upon release, and the festival aims to present a range of films from the past year for audiences. For the screening schedule please refer to the image above. 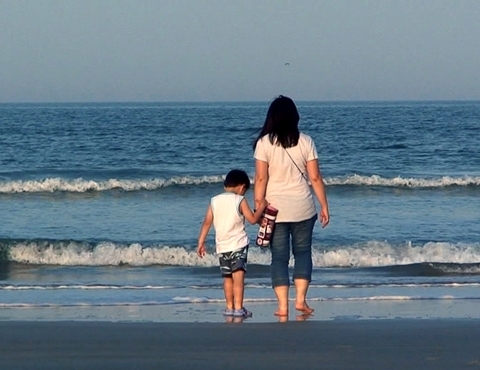 My Place (마이 플레이스) is a funny, enlightening, and wonderful documentary about the importance of family. By using his unwed sisters pregnancy as a catalyst, director Park Moon-chil (박문칠) uses his concerns as a springboard in which to explore the history and psychology of his mother, father, and most predominantly his sister Peace. In doing so director Park shares his revelations and changing attitudes with the audience, with each step constantly compelling as the family attempt to heal past traumas in order to welcome the new baby. A superb and lovely documentary. For the full review, please click here. The Berlin File (베를린) represents a stylistic evolution for director Ryoo Seung-wan (류승완), featuring some of the best action and stunt sequences in recent memory and arguably the best of his career. The director captures the paranoia of the spy world with confidence and skill, employing the city of Berlin incredibly well as the location of espionage. While the over-abundance of characters and narrative tangents bog down Jong-seong’s mission, director Ryoo deserves credit for going beyond the themes of ‘brotherhood’ by actually placing a North Korean agent as the ‘hero’ of the film, making The Berlin File an exhilarating, if somewhat convoluted, spy thriller. For the full review, please click here. How to Use Guys with Secret Tips (남자사용설명서) is a wonderfully wacky and colourful romantic comedy, full of visual and musical vitality. Director Lee Won-seok (이원석) is brilliantly inventive as he plays with genre and cinematic conventions, infusing the film with a seemingly boundless energy and enthusiasm. The laughs come thick and fast as they are based in truth, including sexism in the workplace and the fragility of the male ego, which are explored to highly comical effect. While the final act falls back on cliche and predictability, How to Use Guys with Secret Tips is a very entertaining and fun rom-com. For the full review, please click here. Barbie (바비) is a highly compelling and poignant drama from director Lee Sang-woo that explores an incredible array of social issues within contemporary Korea. As with the director’s previous work the focus is squarely on interrogating the family unit, yet the inclusion of international adoption allows for an expansion in highlighting a variety of socio-cultural themes and issues. While it takes the film quite some time to get going, Barbie (바비) serves as a powerful reminder of the issues facing those in poverty and leaves an indelible impression. For the full review, please click here. Director Hong Sang-soo’s 14th film, Nobody’s Daughter Haewon tells the story of a young woman having an affair with her married professor. The film is a wonderfully structured tale of love and loneliness, and features al the hallmarks the make director Hong such a fascinating filmmaker. Nobody’s Daughter Haewon was also invited to the Berlin International Film Festival earlier this year, where it was screened in competition. For the official facebook page of The Chuseok Film Festival, please click on this link.